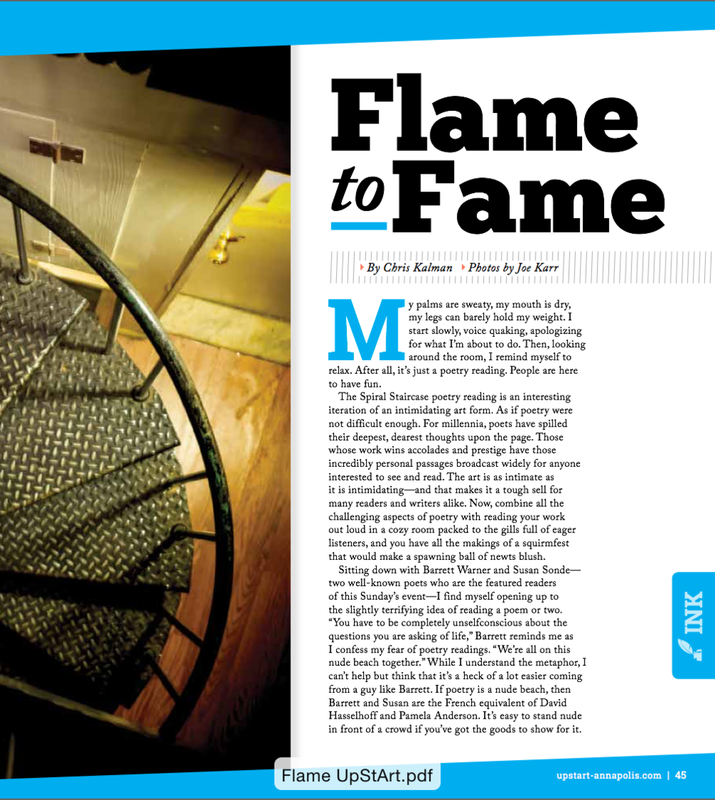 Flame to Fame. Spring, 2015. "...I eventually wallow through my shaky reading, and finish up the second poem feeling almost courageous. My own two cents delivered, my only call now is to kick back and relax and enjoy the other readers. Barrett’s and Susan’s excellent work transports me - at least momentarily - into fascinating worlds of bumpedhead oystershucking love affairs, and the secret lives of arsonists...."